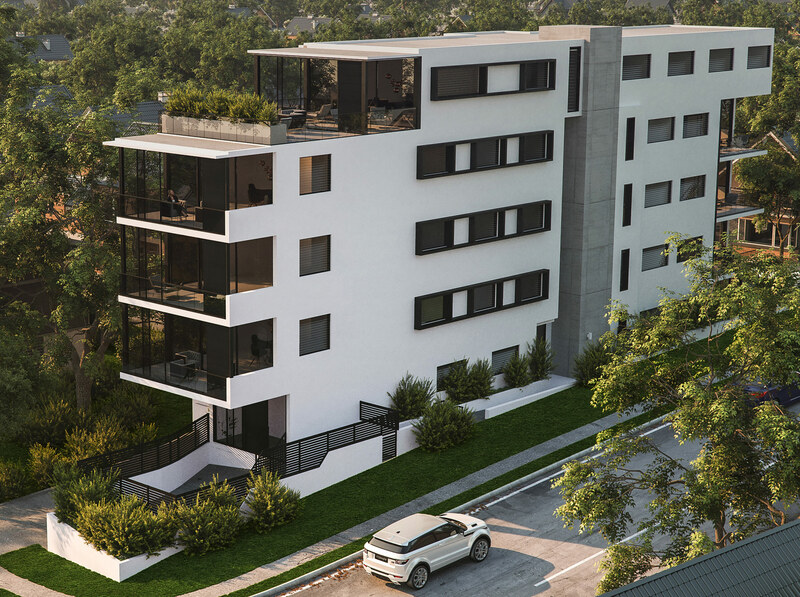 The latest development arriving on the scene in Cronulla combines a seaside holiday experience with the laid-back sophistication that modern apartment design can offer. Aurora encompasses a collection of just eight luxurious two and three bedroom apartments and a single four bedroom penthouse with a magnificent terrace that crowns the building. 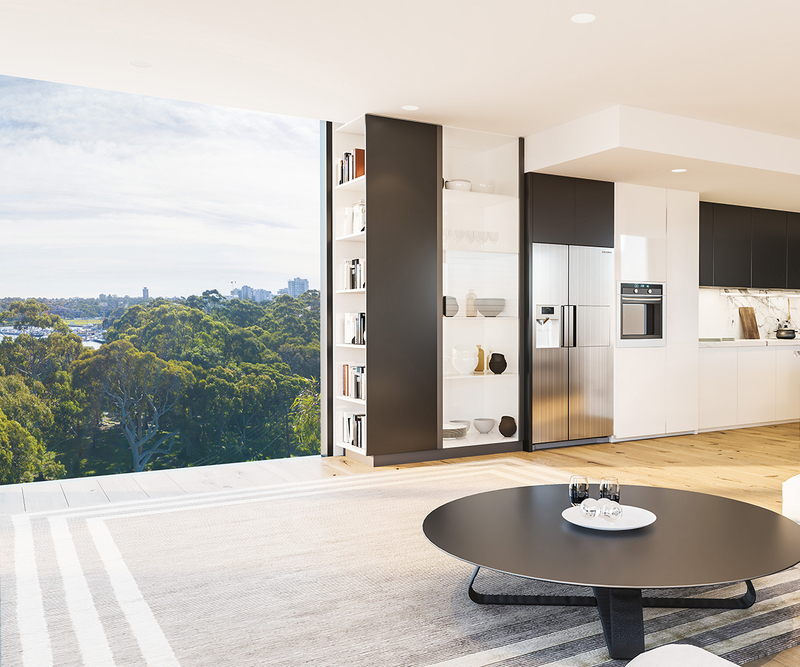 “This type of boutique apartment living delivers a mix of lifestyle attributes that would be very attractive to those looking to downsize, as well as professional couples still needing quick access to the city,” explains Luke Hayes, Associate Director at The Agency Projects. 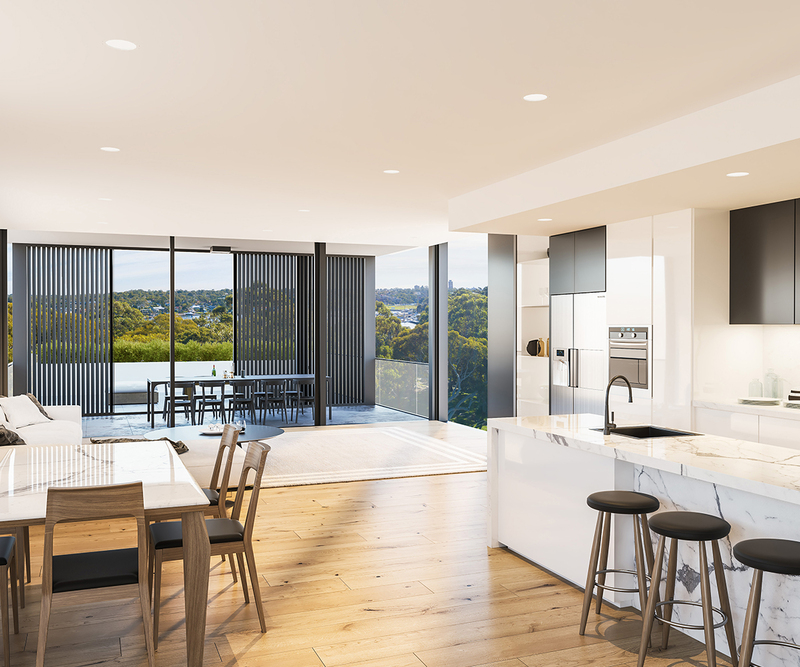 Managed by property development firm Bella Ikea and conceived by award-winning architectural firm Bureau SRH, Aurora brings a new calibre of design to this secluded bayside setting. The monochromatic facade creates a striking contrast against its luscious, green surrounds, crafting a simple yet enduringly attractive aesthetic. Luxuriously light and airy describes the interiors of Aurora. Mimicking its exterior, Aurora’s interior achieves its appeal through simplicity – the colour palette is uncomplicated and therefore elegant, composed of a confident selection of quality materials. American oak timber floors are just one example of the exceptional inclusions that elevate the interior design. 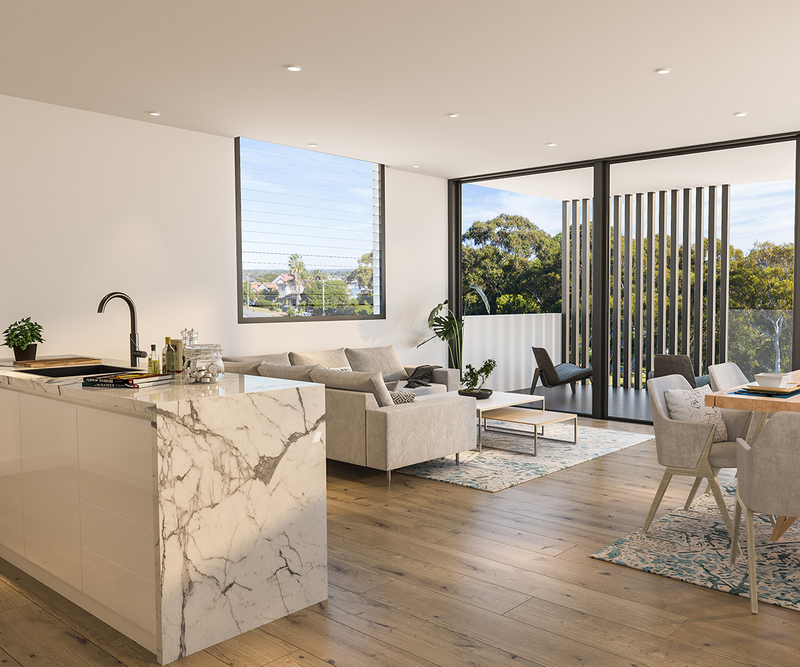 The majority of residences take full advantage of Aurora’s enviable location, proudly sitting between the ocean and Port Hacking, by offering gorgeous views to be enjoyed from home. Glazing is purposefully designed to harness the beautiful sights and capture natural light to illuminate the interiors. Match your decor and artistic choices to the backdrop’s layers of azure and enjoy the visual unity while yachts sail past on a peaceful afternoon. In the kitchen, elegance reigns without question. Black Miele appliances, Saschen tapware and luxurious stone benchtops complement each other perfectly, while the striking marble patterns add a point of difference. “The quality of this build is exemplary, with a focus on top-of-the-range finishes and appliances,” says Hayes. The stunning marble detailing is carried into the bathroom where it spreads unsparingly across the walls and floors, tying the home’s design together in neat symmetry. Those who choose to live by the seaside aren’t likely to want to hide away indoors. Aurora’s alfresco areas are created to allow for a seamless transition between indoor and outdoor living spaces and are generously proportioned for entertaining all year round. And if outdoors is generally where you like to spend your time at home, the ground-floor residences with private courtyards and beautiful gardens will certainly be a good match. Living at Aurora, keeping your afternoons free and heading down to the water will be a daily temptation. Walk just a couple of minutes down the road and you’ll find yourself admiring the vibrant aquatic activity of Port Hacking. Head in the other direction and in less than ten minutes you’ll feel the sand between your toes at Cronulla Beach. In the evening, make your way to The Esplanade, where all of your cravings will be satisfied through a collection of well-renowned restaurants, intimate wine bars and popular late-night venues. Enjoy the tranquility of suburban living with the knowledge that the bright city lights are always just a 40 minute drive away. You will also be walking distance from Cronulla train station, which gets you to Sydney in just shy of an hour on the T4. If it's shopping you’re after, there’s a Westfield just 15 minutes away. Aurora is due for completion in December 2018. For more information or to enquire about Aurora, click here.